The school resumes for the 2013/14 academic year on Monday 23rd September, 2013. With this resumption, usual academic and extra-curricular activities will commence. Extra-curricular activities are expected to cover Club and Society meetings such as Boys Scouts, Red-Cross Society, Girls Guide, Brownies, Literary and Debating, Art Club, French Club, Readers Club etc. 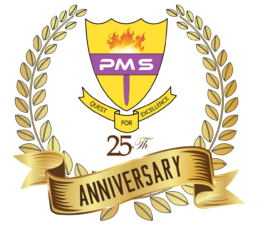 A major highlight of our activities for this term is the proposed 20th Anniversary Celebration of Prime Montessori School coming up on Wednesday 23rd October, 2013. Mid-term activities will comprise of our usual Mid-term test to be followed by election of School Officers into the posts of Students’ President, Students’ Vice President, Social Prefect, Health Prefect, Punctuality Prefect etc. The Mid-term break of two days follows this. The second half of the term commences with preparations for the termly Open Day activities scheduled for the last Friday of November, 2013. The end of term examinations and grading of the scripts take off thereafter to be followed by the School’s Annual Christmas Carols and Nativity Play which rounds up the Prime Montessori School’s programme of activities for the First Term. Today, Prime Montessori School celebrates 20 years of remarkable achievements. Happy Emerald Jubilee. Two decades of superb and unquestionable performance, pathfinding and huge contribution to human development. I salute you Prime Montesori School. Happy 20th Anniversary. Upppppppppppppp PMS. Thank God for bringing PMS to her 20th anniversary celebration on dis day 23rd October. Happy anniversary even as d Lord will strengthen u to continue to churn out not just stars but shining stars n celebrities!